William H. Paloski, Ph. D. Human Adaptation and Countermeasures Office NASA Johnson Space Center Artificial gravity is an old concept, having gotten its start in the late in the 19th century when Konstantin Tsiolkovsky, considered by many to be the father of the Russian space program, realized that the human body might not respond well to the free fall of orbital space flight. To solve this problem, he proposed that space stations be rotated to create centripetal accelerations that might provide inertial loading similar to terrestrial gravitational loading. Einstein later showed in his equivalence principle that acceleration is indeed indistinguishable from gravity. 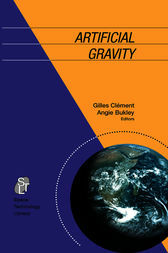 Subsequently, other individuals of note, including scientists like Werner von Braun as well as artists like Arthur C. Clarke and Stanley Kubrick, devised elaborate solutions for spinning vehicles to provide “artificial gravity” that would offset the untoward physiological consequences of spaceflight. By 1959, concerns about the then-unknown human responses to spaceflight drove NASA to consider the necessity of incorporating artificial gravity in its earliest human space vehicles. Of course, owing in part to the relatively short durations of the planned missions, artificial gravity was not used in the early NASA programs. Gilles Clement is a neurophysiologist who has been involved in space research on astronauts since 25 years. He wrote "Fundamentals of Space Medicine” and "Fundamentals of Space Biology”. He is coordinating the vision of a group of international scientists, doctors and engineers for validating the implementation of artificial gravity for long-duration, exploratory missions. Angie Bukley is an aerospace control systems engineer who has over 20 years experience in the aerospace business working with NASA, the US Department of Defense, and the Aerospace Corporation. She is currently the Dean for Research and Graduate Studies at the Russ College of Engineering & Technology, Ohio University.